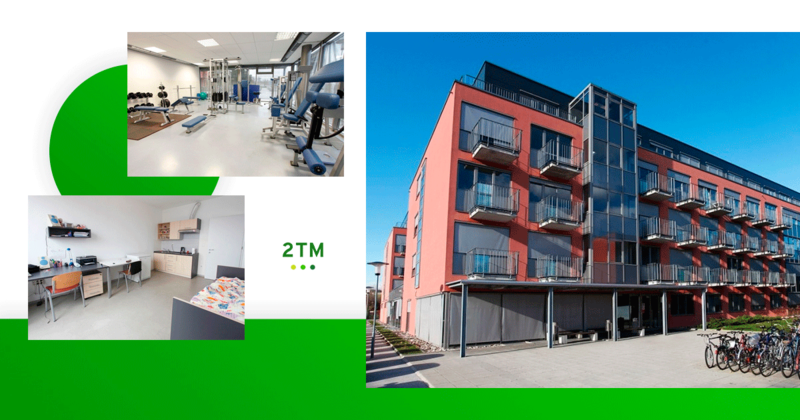 2ТМ > Information for the student > Housing > Accommodation for Students in Slovenia: A Private Apartment or a Dormitory? Future students are increasingly turning their attention to universities in Europe. However, in addition to issues directly related to the admission process, there is a pressing problem of everyday character – where to live? Therefore, educational institutions that offer a ready solution gain the upper hand during the application period. Slovenia is a successful example of a wise approach to student needs. Here you can find accommodation both in private apartments and in dormitories (public, private and for secondary school students). All options have their own specific features, so students should thoughtfully analyse them and choose the most preferable one. Renting private apartments or rooms is very common among students. A group of 3–4 friends-students usually rent an apartment for a long period sharing all expenses equally. Of course, it is possible to rent a separate housing for one person, but it is important to understand that renting an apartment in Slovenia, although it varies in price, is rather expensive, and renting accommodation is one of the most important items of expenditure for students. The highest prices are in the capital (Ljubljana) and on the coast (Koper, Izola). In neighbouring cities, the prices are more affordable. Thus, in Maribor, a studio apartment costs around 300 EUR per month, including utility costs. In Ljubljana, you can only rent a room for this money. At the same time, it is almost impossible to rent a room on the coast during the tourist season because of the inflow of vacationers, although this goal becomes quite achievable during the academic year. Nevertheless, living in a room during studies, most likely, you will have to pay a tourist price for it during the vacation period. An important benefit of Slovenia is that the distances between cities are small. You can settle in a small town and spend 30–40 minutes to get to the capital by bus. Driving a car will be even faster. Photo: Designed by 2TM d.o.o. University dormitories with significantly lower prices are a worthy alternative to private apartments. Living in a dormitory, students, in addition to tight communication with fellow students, also receive a comprehensive solution to the majority of household issues. However, students must strictly follow the mandatory rules, ignoring of which entails a fine and even an eviction. Such rules include cleaning of rooms, cleaning of common areas, sorting and collection of garbage (students usually perform these tasks in turn). The basic set of amenities and facilities in a dormitory includes the presence of a refrigerator, a washing machine or laundry services, a kitchen with necessary utensils, the Internet, and bicycle parking. As a rule, in the immediate vicinity of dormitories, there are canteens or cafes where students can eat well using “bons” (special student discounts for meals). 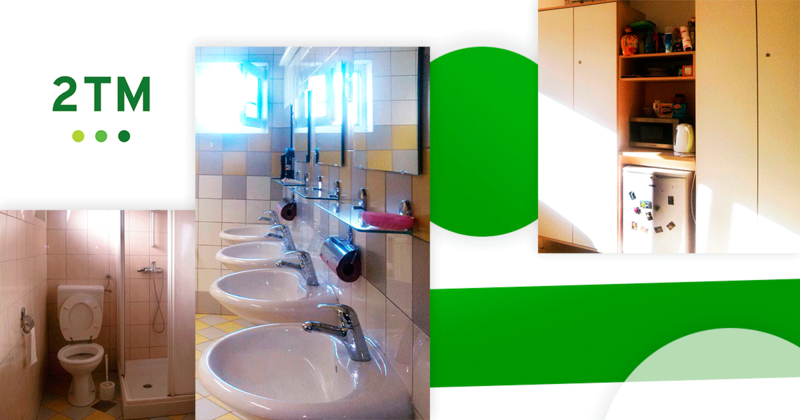 Student dormitories in Slovenia are public and private. 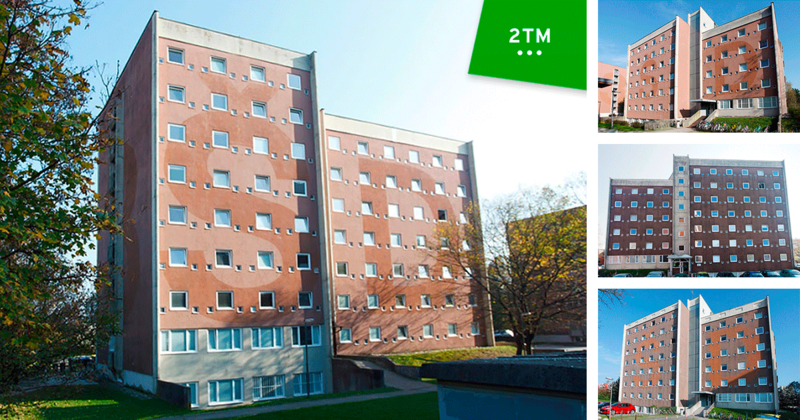 Public dormitories are located in all university cities (Koper, Nova Gorica, Kranj, Ljubljana) and are located close to educational institutions. Let us consider, as examples, several public student dormitories. 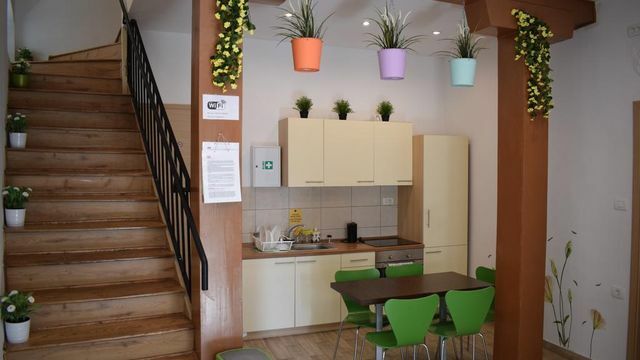 The dormitory in Kranj, in addition to the above amenities, has single rooms, two-room apartments, a balcony in each room and a common living room with a TV. The price for accommodation in this dormitory starts from 80 EUR per month. It is important to bear in mind that in Ljubljana, the capital of Slovenia, it is almost impossible for a foreign student to rent a room in a public dormitory due to a lack of places. Firstly, some Slovenian students have a subsidy for living, which means an advantage in this matter. Secondly, the number of students wishing to live in such dormitories is much higher than the number of actually available places. 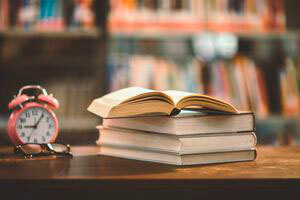 Therefore, choosing an educational institution in the capital, it would be more reasonable for a foreign student to immediately look for an apartment or a private dormitory. a single room with a bathroom and a kitchen on the floor ≈ 200–250 €\person. It is important to consider that almost each private dormitory requires a deposit in the amount of one or two monthly payments. Let us note, that a student has to check the availability of necessary conditions before settling in order to avoid possible misunderstandings. Some services (for example, washing or Wi-Fi) may require a separate fee. The Bežigrad dormitory is designed for 15 students. It has 3 floors, 3 bathrooms, 4 toilets, 2 kitchens. Rent is paid at the beginning of the calendar month (for a month ahead), and in the middle of the month for utilities (for the past month). Another dormitory in Ljubljana (Šiška) has a greater variety of rooms: a room for three persons, a room for two persons, a room for two persons with a balcony, a room for one person. However, the terms of renting a room are fixed — from 1 September to 30 June. 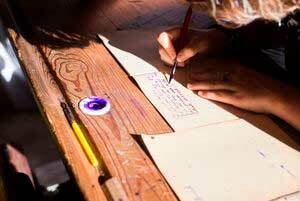 Payment for this period is obligatory, even if a student needs a room for a shorter period of time. In summer, the dormitory does not work. The simplest and safest option for selecting housing is to entrust this issue to professionals. Experts of the 2TM Company are ready to assist entrants in all issues related to studying and living in Slovenia.